Program leader: Sandy McKnight (412) 585-2361. The Zimbabwean educational system requires students to pass milestone exams to advance, and one of the most critical milestones is “O Level.” The preparation books required for these exams are very limited or simply not available. Many students might need to share one book. TNC has established a program to purchase these books for students, who in return perform community service for the use of the books. 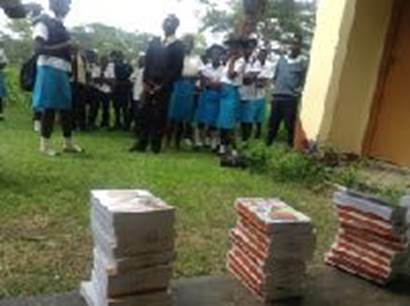 Since its inception, TNC has purchased five rounds of O Level Books to be shared among students at four schools located in the very remote areas beyond the mission at Nyadire Mission, in addition to the high school at Nyadire. At a cost of $17,500, TNC has purchased some 900 books in varied subjects: English, Agriculture, Home Economics, Accounting and Commerce. 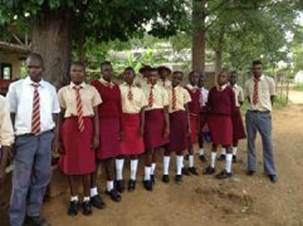 The headmasters and the Home of Hope administrator oversee the community service aspect of the program. Examples of service include tutoring other students, working at the Home of Hope and/or doing maintenance work at a school. TNC hopes to raise roughly $6,000 in annual donations to support this program.